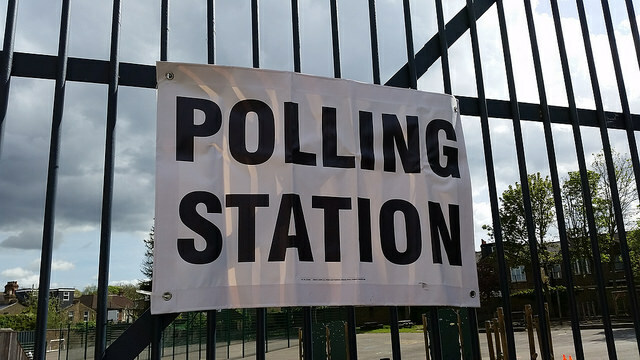 Hundreds of Labour activists across the country made a huge effort in this week's local elections. It was great to see so many people inspired by Jeremy Corbyn to get out on the doorstep and make the case for Labour directly to the electorate. The results arrived over Thursday night and Friday morning and it looked like the hard work had paid off. Labour won 2,350 councillors to the Conservatives’ 1,332. Labour also took control of Plymouth Council and became the largest party in Trafford, meaning that the Tories no longer control any councils in Greater Manchester. However, the view from the commentariat is that these results were not good for Labour. The general consensus is that this election was a draw between Labour and Tories, which seems unfair to Labour who won more councillors. Why would anyone claim this? False equivalence is certainly a factor here. Due to the BBC's hardwired neutrality, when both Labour and the Tories claim victory the BBC decides it was a draw rather than making a judgement that could be viewed as partisan. The issue is that this desire to be neutral can itself be interpreted as partisan when one party has won many more councillors than the other. Another factor is that it is possible to read these results as positive for both parties. This might sound strange, as Labour won more elections than the Tories, but bear with me here. Labour won more councillors, but didn't do as well as they wanted to. They failed to take Westminster and Wandsworth councils. The Tories on the other hand did better than was expected, winning Barnet and Redditch. As local elections are primarily seen as an indicator of how people will vote in a general election, this fits into a narrative of Labour's performance declining from year's general election (where Labour did well, but failed to gain a majority) and the Tories support increasing from last year (where they did poorly, but stayed in power). Labour did well in the great cities of England, but the Tories did well in towns. The UKIP vote collapsed, but the Lib Dems did better than expected. There is no clear path to a majority for either main party. Certainly not while the country remains polarised between Leave and Remain groups and Labour is forced to do an awkward dance to appeal to both camps simultaneously. Labour's vote is becoming more metropolitan and the Tories is becoming more focused on small towns. There are not enough voters in either place for either party to win a majority so something must change, or we will be stuck with weak minority governments for a long time. Anyone who supports Corbyn’s vision of radical change to this country is hoping for a sizeable Labour majority after the next election. The truth is that Labour did well in the local elections and were the clear winner. However, it is also true that the elections were a disappointment for Labour if they want to win the next general election. The good news is that the election is still likely to be years away and there is plenty of time to Labour to learn and get better. Labour's performance over the last year and a bit has been inspiring, but we need to do more to win the next general election. Loads of people are being drawn into the Labour Party and many of them are out canvassing and making the case for Labour, which is really inspiring to see. With this energy we can go far. The Party needs to grow this momentum (if you'll pardon the pun) to get rid of the Tories. Remember this is the party that has presided over a huge rise in child poverty and homelessness and brought the NHS to the brink of collapse. It's vital that Labour kick them out of power at the next general election and to do that we all need to work harder and win more. We can do this. We can get more people involved. We can get more people out making the case for Labour, not just in the great cities but in the towns and suburbs that the Tories have forgotten. Places that need the change that Labour offers. We can spread the word further and get more Labour voters. I believe Labour can win the next general election. Polling station image taken by Rachel H and used under creative commons.